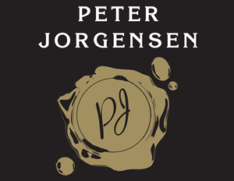 Peter entered the Australian wine industry in 1988 with the acquisition and development of a ten hector parcel of prime viticultural land. Since those earlier days and the many vintages that have followed he has accumulated numerous awards, accolades and trophies for his wines. He ceased showing wines in 2004 in preference to consumers judging his wines for themselves. For many wine lovers the process of fermentation often appears quite wondrous and, in deed, so it is. While this process is time consuming and often physically arduous, the actual conversion of grape sugars by yeast into wine involves complex chemistry. Needless to say, many other processes take place in the winery to achieve a finished bottle of wine but one of the most interesting of these is barrel maturation where fruit aromas and bouquets combine with oak characters to generate an often extra-ordinary array of pleasing flavours and related nuances. However, as a winemaker, I find the most rewarding and enjoyable area of winemaking and, potentially, the most significant is blending. For most part, this art is not understood or appreciated by many wine consumers, and yet, the world’s greatest wines are blends. In general, blending provides the winemaker with a much greater opportunity to deliver a more complex wine with greater flavour profiles, palate length, aging ability and drinkability than individual varietal or single vineyard wines can. Find out more about each of our wines by selecting from the list below.